With some truly wonderful features packed in this cheap dual SIM GSM mobile phone, Videocon V1428 is spectacular. Priced at Rs.3200 in India, the Videocon V1428 has launched in India to take the handset market by storm.This new GSM Dual SIM mobile has been introduced by domestic handset maker, Videocon mobiles in India. The phone is packed with lots of attractive features especially in the music department. This candy bar phone is a music-oriented phone that enjoys variety of polyphonic ringtones, stereo FM, MP3 player with loud speaker and dedicated music keys option. One may view videos and play music on its MP4 Player. The gaming experience on the phone is also different just as the browsing experience on its WAP Browser. Apart from that, there is a display 2.0 inches, of TFT types that give resolution of 176 x 220 pixels. The phone operates at frequency of dual band GSM 900/1800 MHz with Dual SIM capabilities. With 0.3 Mega Pixels VGA Camera that sports digital zoom feature and gives a resolution of 640 x 480 Pixels, V1428 gives excellent memory collection opportunity to its users. 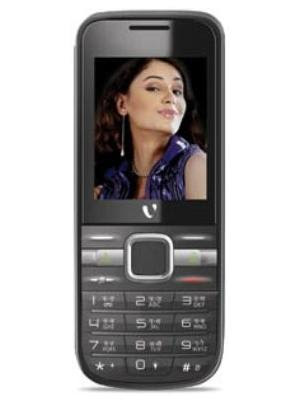 The messaging options in Videocon V1428 are very basic and one may send and receive SMS and MMS. Lack of Email provision is a bit disappointing. There is provision for external memory expandable to 4 GB via a T-Flash Card. The special features of Videocon V1428 are pre-loaded LED Torch Light and Mobile Tracker. Videocon V1428 comes in two chic colors, the dual tone Black and Burgundy and dual tone Black and Red. Its excellent Li-ion 1800 mAH battery offer a stand by time of 480 hours and talk time of 600 minutes. For connectivity and data transfer, there is GPRS and Bluetooth. The transceiver, battery, headset, travel charger, user manual and warranty card comes in its retail package.